Children will get to play a “fireside” game played in the wintertime by Hodinöhsö:ni’ people, Gasgë’ëhse:ta’ (Deer Buttons). This game is played by two or more players and is played by throwing the deer buttons on a table or mat trying to get them to land in specific combinations similar to Yahtzee. Score is kept using dried beans and the team with the most beans wins the game! 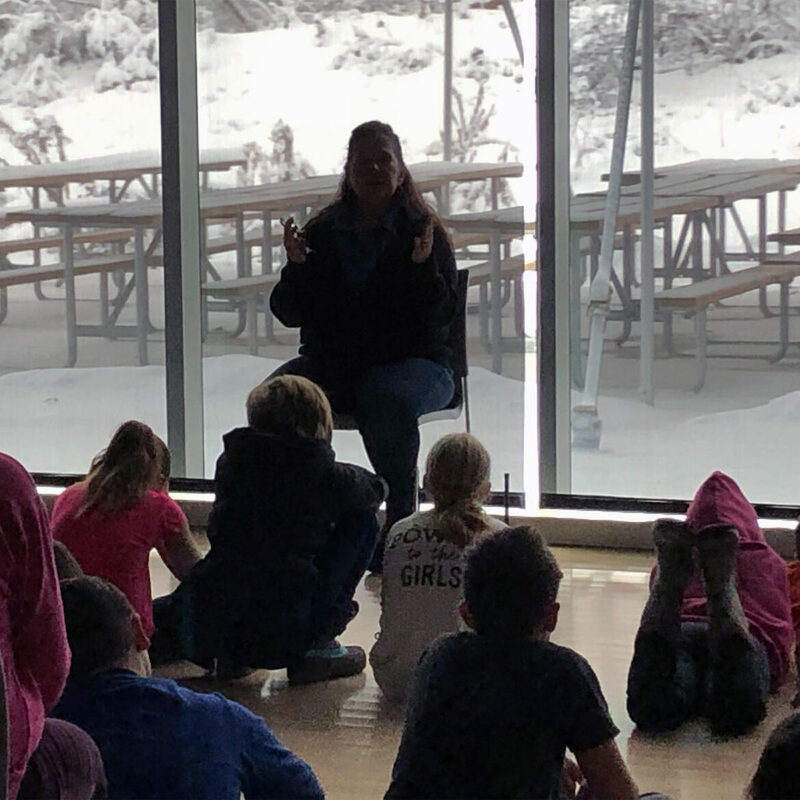 Storytime at Ganondagan gives children a chance to listen to a traditional Native American story read aloud from a picture book. Learn a Seneca "word of the day" and color a picture related to the story. Come make your own simple single strand beaded necklace. Then take a look in the Seneca Art and Cultural center gallery for some historical examples! All activities are included with your Seneca Art & Culture Admission, be sure to take a chance to look at our exhibits and watch the Iroquois Creation Story film. All children must be accompanied by an adult. All activities appropriate for ages 5 and up. Ever wanted to snow shoe but didn't know how? We will show you! 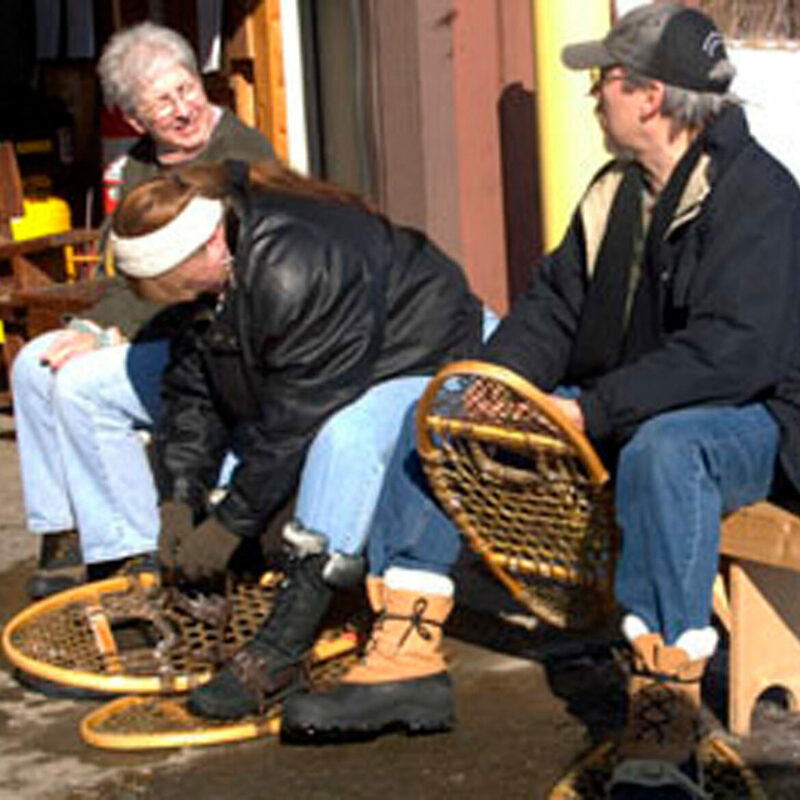 Take a walk on our rental snow shoes, your rental is included with your SACC Admission! Adult must leave drivers license at front desk. Come listen to the story of the No Face Doll and learn how to make a doll that you can bring home! This activity is appropriate for ages 9 and up, younger children may attend but will need parental support. All activities are included with your Seneca Art & Culture Admission, be sure to take a chance to look at our exhibits and watch the Iroquois Creation Story film. All children must be accompanied by an adult. 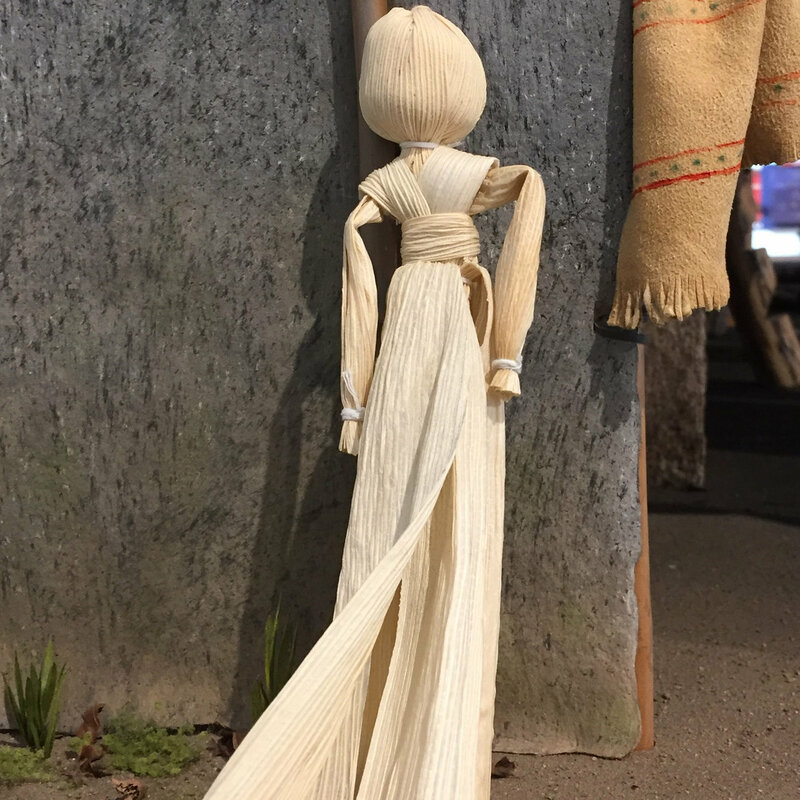 All activities appropriate for ages 5 and up with the exception of the Corn Husk Doll workshop (9+). 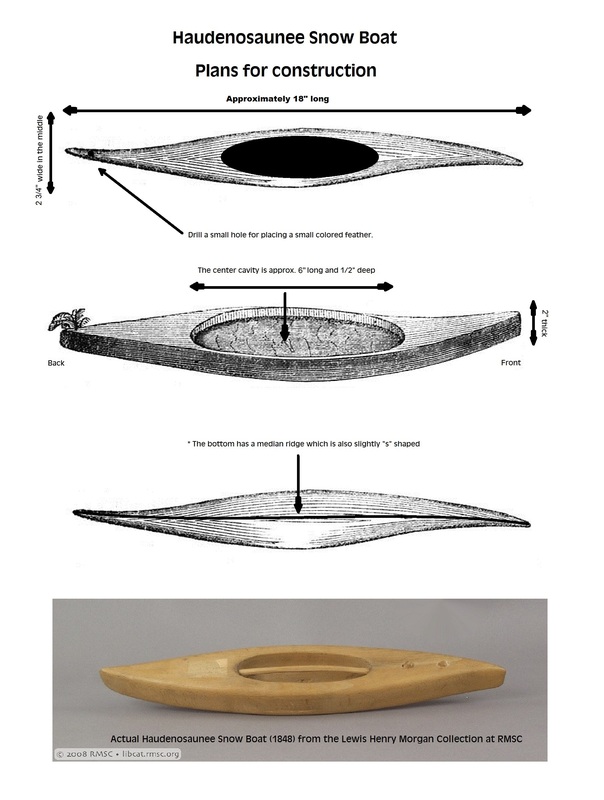 Seneca people would make solid wooden “boats” and race them down hills for fun. 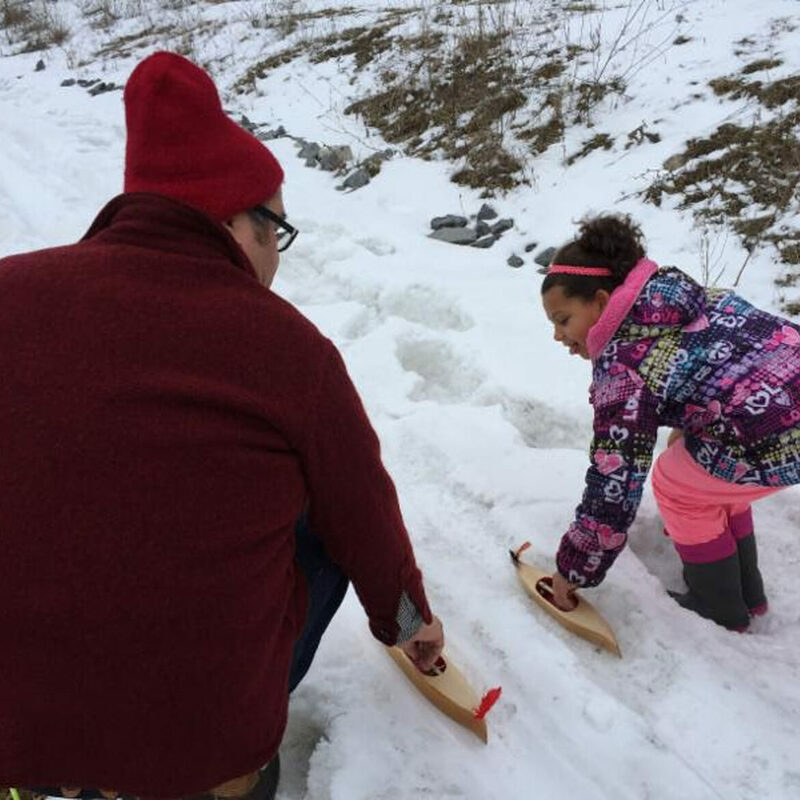 (Think of the “Pinewood Derby” from scouting) Channels would be made in the snow, one for each boat and then released four at a time down the snowy hills. Loaner boats will be available for you to try out – but why not create your own snow-boat and bring it for a test run? Click on the link for plans and instructions to make your own snow boat. Take the opportunity to listen to our talented historical interpreters tell some traditional stories. Enjoy the entertaining Native American stories while learning the valuable lessons that are often interwoven in the tales.